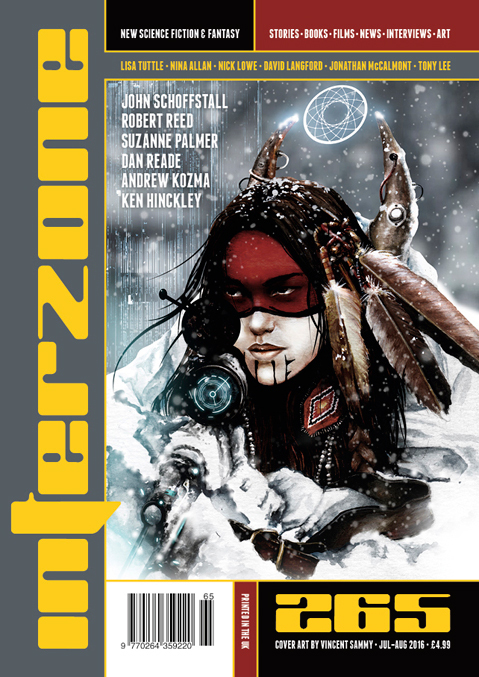 "A Man Of Modest Means," by Robert Reed [bio] (edited by Andy Cox), appeared in Interzone issue 265, published on July 16, 2016 by TTA Press. Pro: The author does an excellent job of gradually giving us details about what's wrong with the woman and what's abnormal about the man so that we accept the big revelation comfortably. Con: There's zero tension, and we're not really interested in either character.